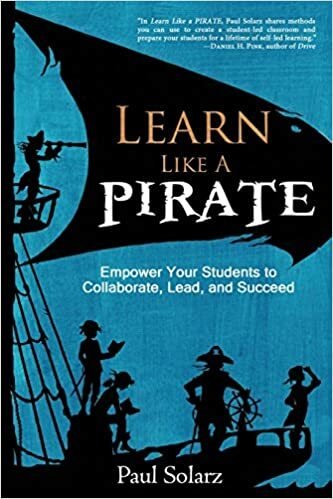 Welcome , to our book study of Paul Solarz's book, Learn Like a Pirate hosted by The Primary Gal. Today I am sharing my thoughts about chapter 8, Empowerment. While the entire book really focuses on empowering your students to lead the class, Solarz says that he wanted to focus an entire chapter on the subject of empowerment because he believes that it must be the teacher's top priority. Solarz says that Passion Time is one of his favorite times of the week. I have heard about Passion Time on Twitter, but I haven't fully been able to understand the process. I was glad that he chose to address this in this chapter. Passion Time is basically a dedicated amount of time set aside each week for students to pursue their on interests. It isn't just a free for all time, as Paul explains the structure that he uses in his classroom. I found this to be very helpful, and am looking forward to adding a bit of Passion Time to our class this year! Again, Paul addresses another Twitter buzz word that I have not been able to quite wrap my brain around - maker spaces. 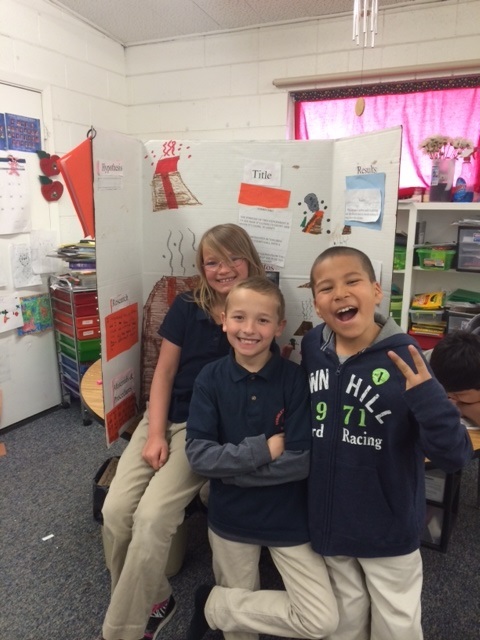 He has set up an after school club to empower kids to make, create, design, and build. I am not sure about an after school club for my school, but I do like the idea of having a space where kids can have access to materials. I had a few students this last year who loved to make things. They would get a kick out of this for sure! I think that as teachers, we would all like to think that we create a safe learning environment for our students. Solarz takes this a step further by telling his students at the beginning of the year that he may have days when he is crabby, but that doesn't mean that he doesn't like them anymore. He even role plays with them how to handle when he is frustrated with them. He believes that children tend to blame themselves when adults are upset, and it is better to help them work through this. Paul Solarz says that when teachers empower students, the result is a higher enjoyment of learning which increases both motivation and effort, thereby increasing achievement. "All children need to know they are cared for and that they have talent. Empowerment comes from feeling qualified and capable." "Children nee to hear that they are doing well! Do your students feel successful on a regular basis or are they hearing only how they need to improve?" I have loved reading this book, and plan on going back through it as I set up my classroom this year. Have you read the book? What changes will you be making to your instruction? Want to hear what some other bloggers are thinking about this chapter? Stop by and visit the blogs below. Today I am sharing my thoughts about chapter 7, Twenty-First Century Skills. For most of his teaching career, Paul felt that teaching content standards was the most important part of his job. I know that I often feel the same way, particularly with Common Core. He knew that something needed to change in order for his students to develop skills they could use later on in life. He wanted to instill in them the ability to transfer their learning to new situations so they could be successful outside of the classroom. AND... he wanted his students to actually look forward to coming to school. Forget college and beyond, those are skills I want to see in my own students now! 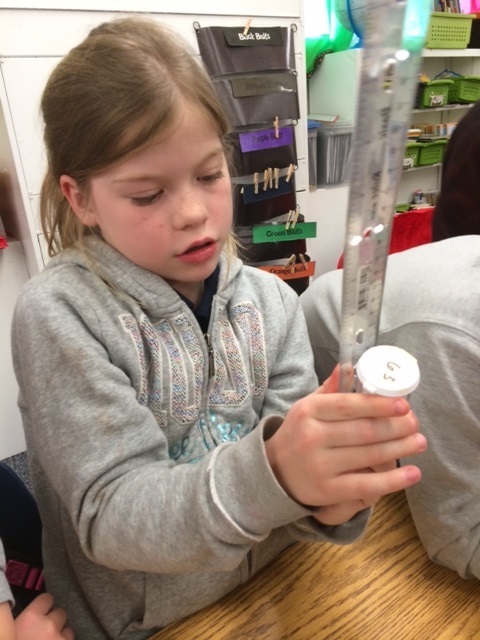 Paul says that when teachers give their students individualized feedback using twenty-first century skills as the method of delivering content, students develop actions and behaviors that are more transferable to the real world. This intrigues me because transfer is often a struggle for some students. You know the ones who get all the answers correct during an assignment, but fail the test if the questions are worded differently. Paul says that one of the most important skills his students work on is reflection. I know my teaching is better when I reflect on what I have done, wouldn't that be just as useful for my students? 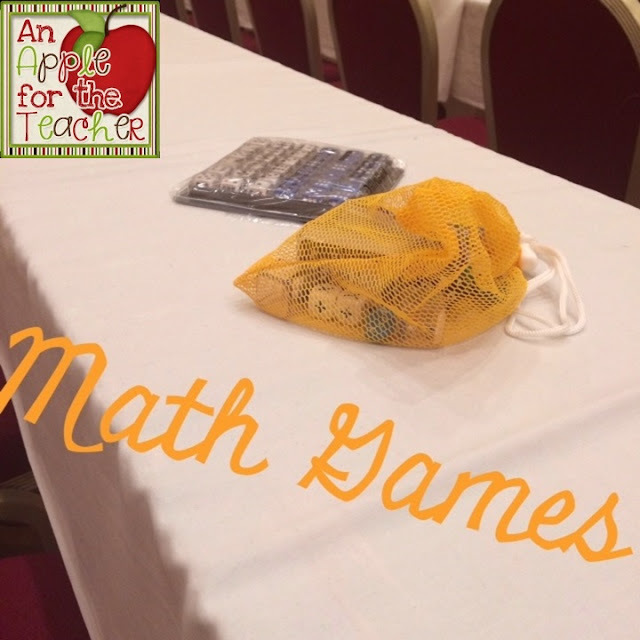 Solarz gives several examples of how he encourages and develops twenty-first century skills in his students including ways to make math more meaningful. He talks about providing students individualized feedback each day. He also tells how he used student partnership to have students teach each other. 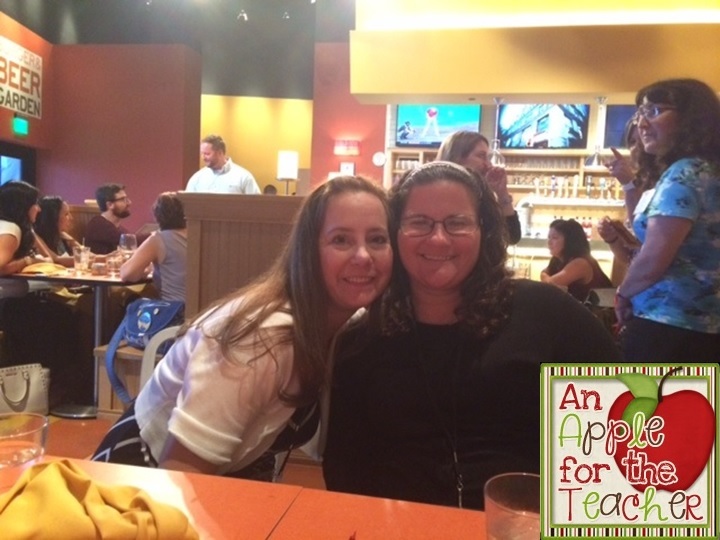 I want to implement math partnerships this year. I would love to hear your comments about twenty-first century skills! 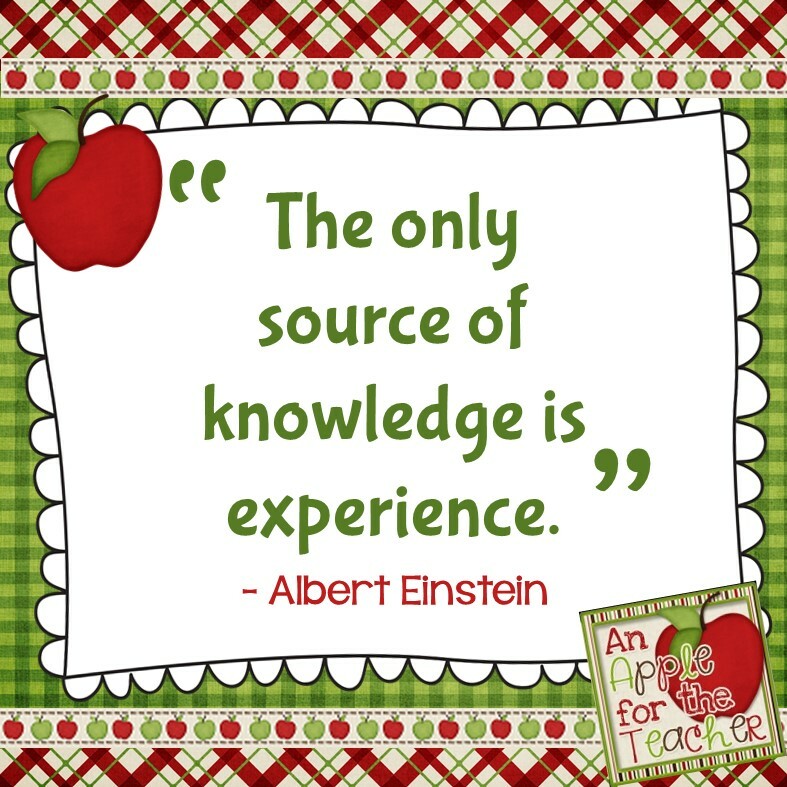 What ways do you incorporate them into your lessons? Follow along with the other bloggers who are participating in this book study! It's always great to hear another perspective! 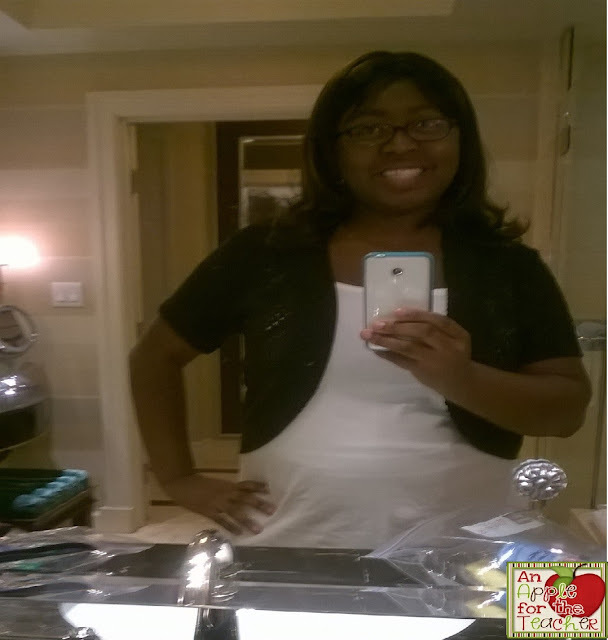 Check out more posts from my bloggy friends below! Last week I had the opportunity to go for a second year to the TpT Conference for Teachers Pay Teachers Sellers in Las Vegas. The conference was a great way not only to learn more about Teachers Pay Teachers, but also to meet other teacher bloggers and product creators, and to glean inspiration from those who are doing great things. While I was in Vegas, I also attended the SDE conference on Differentiation. I flew into Vegas Monday afternoon full of anticipation. We stayed at the same hotel as we did last year, the Venetian. If you ever go to Vegas, you have to check it out. It is beautiful! Here is a picture of the lobby. This is the canal that is inside the shops and stores area in the Venetian. On the way to registering for the SDE conference, look who I found! 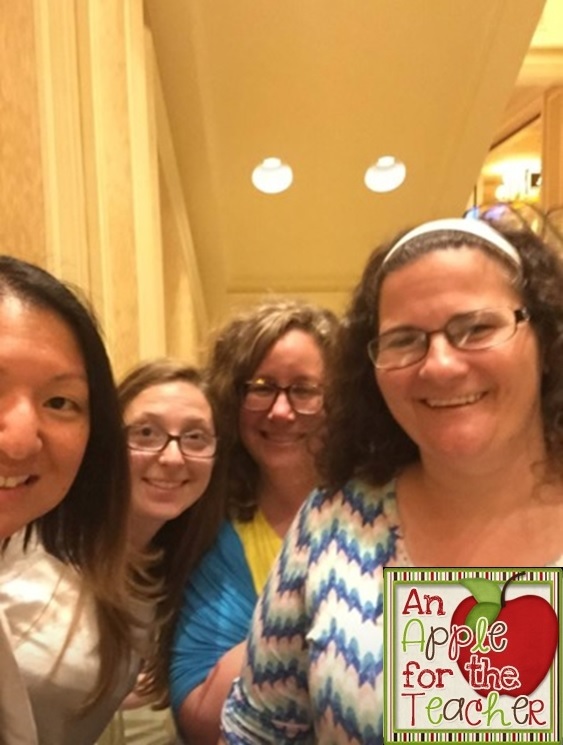 Amy and the gals from TpT! We took a selfie on the escalator, and luckily no one fell off! The Differentiation Conference started Tuesday morning. 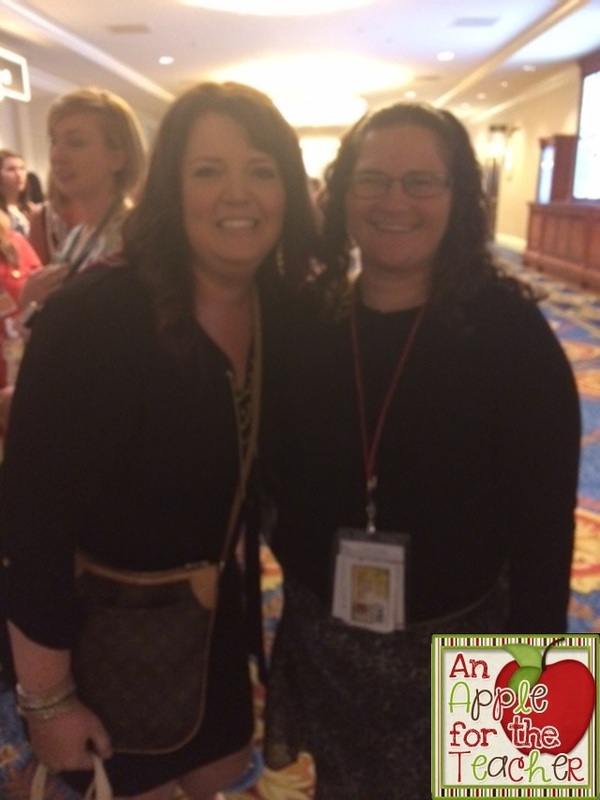 I was able to see some amazing speakers and sessions and learned so much! 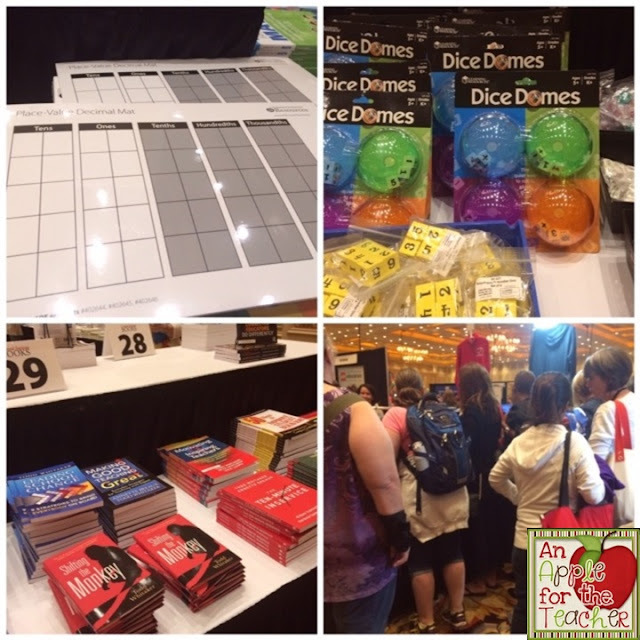 I can't wait to try them out in my classroom, and of course share them with you! One of my favorite presenters was Kathy Perez. 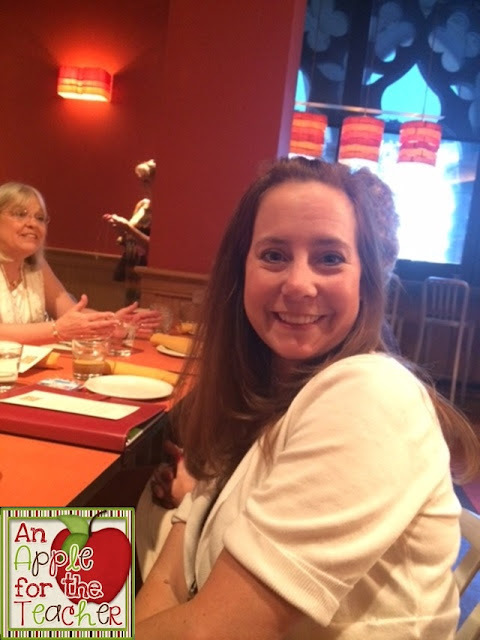 She was (in her own words) a hot chili pepper, and was she full of energy! Perfect for an after lunch session. I also loved learning math games with Boxcars and One-Eyed Jacks. After the SDE conference, and right before the TpT conference, I attended two meet-ups with other sellers. The first one was dinner with The Cool Kids meet-up. I sat next to my friend, Karen, from Planet Happy Smiles. After dinner we headed over to the Blogger Meet-up hosted by Blog Hoppin'. While standing in line, I got to meet Farley from Oh Boy Fourth Grade! 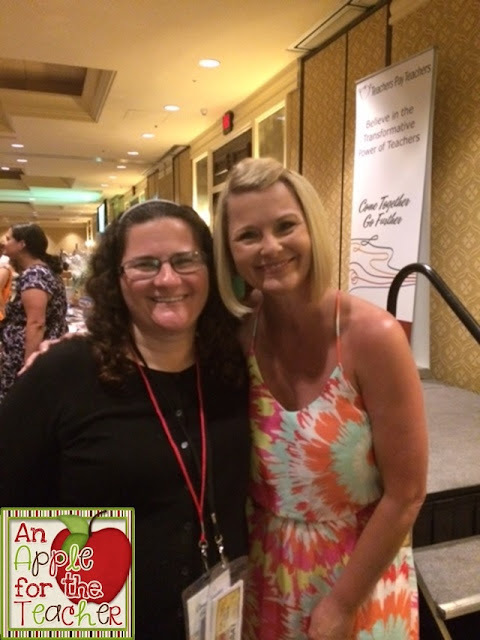 I love participating in Currently every month, and I loved getting to meet the lady behind the blog. She was super sweet! 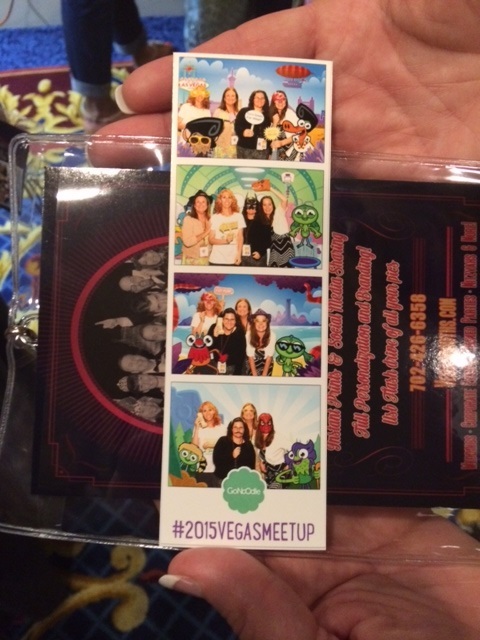 At the meet-up my roomie, Kathleen of A+ Kids and I took a fun photo with a few other friends thanks to GoNoodle. 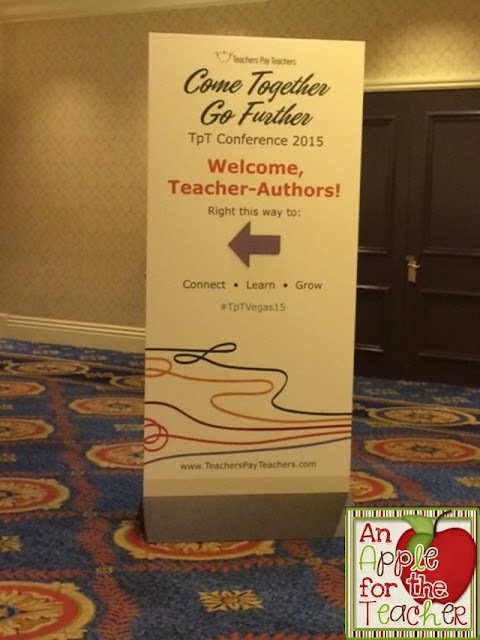 The next day was time for meet and greet before the TpT conference. 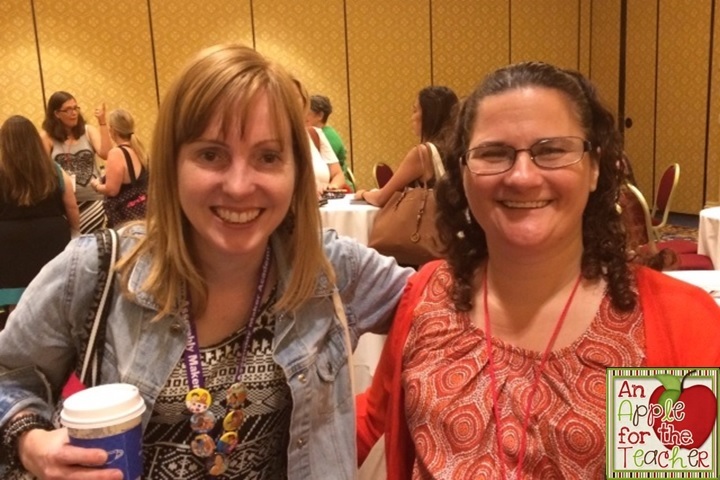 I was able to meet many third and fourth grade teachers as well as Chandra from Powerpoint Gaming. She has donated to several of my giveaway this pas year, so I was excited to meet her in person. If you haven't checked out her store before, you definitely need to because she has some amazing games. I was able to take a picture with another one of my favorites, Deanna Jump. I also got to meet Julie in person. She blogs at Third is the Word, and we have collaborated a few times for Instagram Loops. I ended the conference the same way I did last year with a photo booth picture with Nancy from The Apple Basket Teacher. It was an absolutely fantastic week, and I am exhausted! 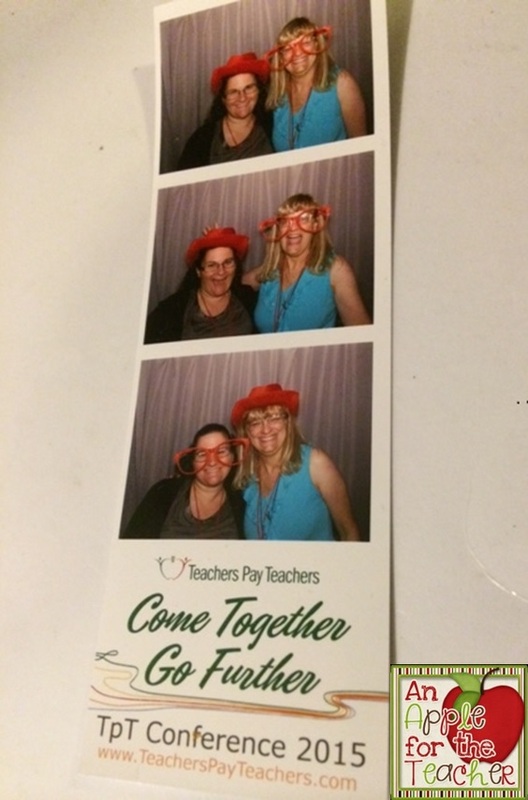 The CEO of TpT said it was like summer camp for grown-ups and it really was! I will share more later, but now I must head to bed as I have a full week of Reading Workshop Training with some staff members from TCRWP. Did you attend the TpT Conference? What did you find inspiring? What are you going to do this year with that information? Did you like this post? 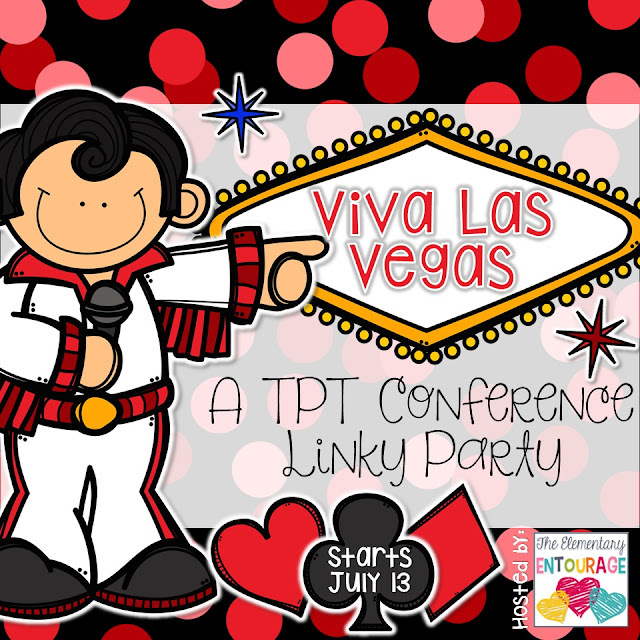 Well, if I may be so bold, I have some other posts about the 2014 TpT Conference that you might enjoy! 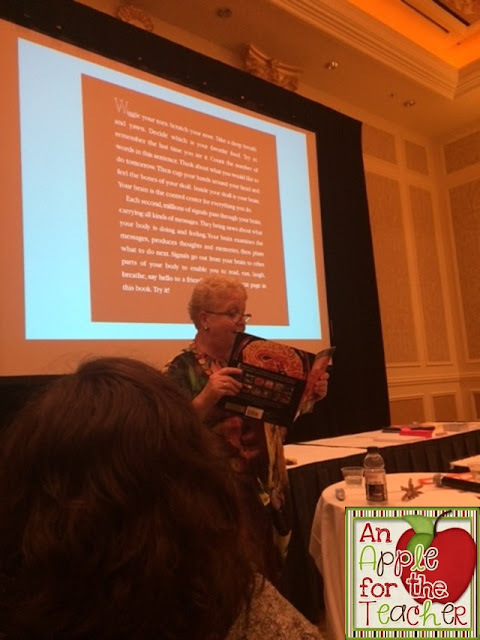 And, if you would like to read even more about THIS year's conference, check out other blog posts from other bloggers who attended here. Today I am sharing my thoughts about chapter 6, Active Learning. Students learn best by doing, and this is fortunate according to Paul Solarz because this learning method is fun for both students AND teachers. In this chapter, he describes several specific ways that he creates active learning opportunities for his students. In a simulation, the students (and the teacher) take on personas and work toward learning goals. 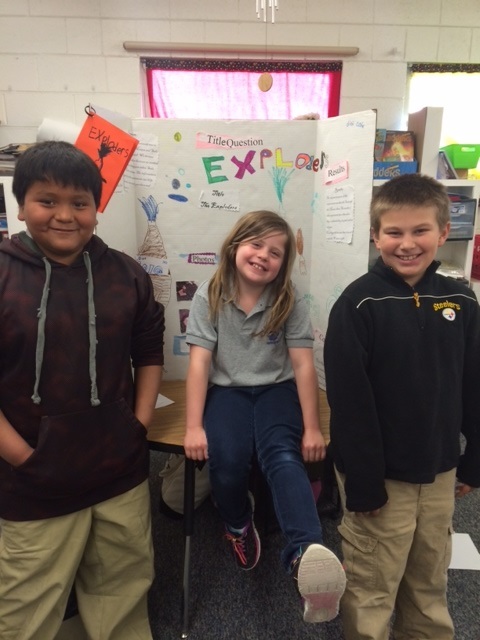 Paul provides three different activities he has used in his own classroom. While his lessons won't fit my level this year, it has me thinking about ways I might incorporate it into the lessons and themes that we do have. Paul says that debates can be a fun way to get students researching, planning, and speaking in front of others. This is definitely something that I will be implementing this year. In this section he discusses the process he uses to teach his students about debates. He talks about giving overlapping assignments. His students are divided into groups to complete their tasks, and Paul conducts mini-lessons for the whole class. Rather than waiting for all of the groups to finish each section of the project, he introduces the next task to everyone as a whole group when the first group is finished. That way the fast finishers don't have to sit around waiting for others before they move on. Other groups are then able to move on to the next task as they finish because they already know what to do. I love this idea! It seems like it would really pick up the pace of student work, because they won't want to be left behind. They will realize it isn't a chance to waste time! Solarz suggests rather than assigning science fair projects to do as homework, teachers should instead have the entire project be done in school. Due to a lack of participation by students in prior years, I did just that this last year and it was amazing! Paul Solarz says that "creating projects that focus students' attention on content in exciting ways, providing them with choice, and allowing them to explore their interests are more effective teaching methods than lecturing or reading from a text book." While Solarz doesn't advocate using technology for novelty, he does say that it is a great way to turn passive learning into active learning. I have used some Reader's Theater in my class as a way to increase oral reading fluency. Every time, my class has a ball with it! Reading this section makes me wonder, why don't I use it more often?? I would love to hear your comments about active learning! 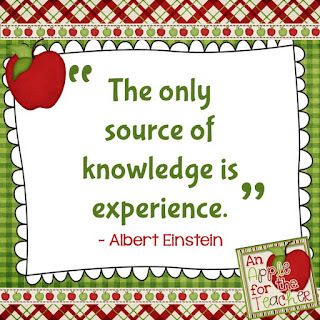 What ways do you incorporate active learning into you lessons? 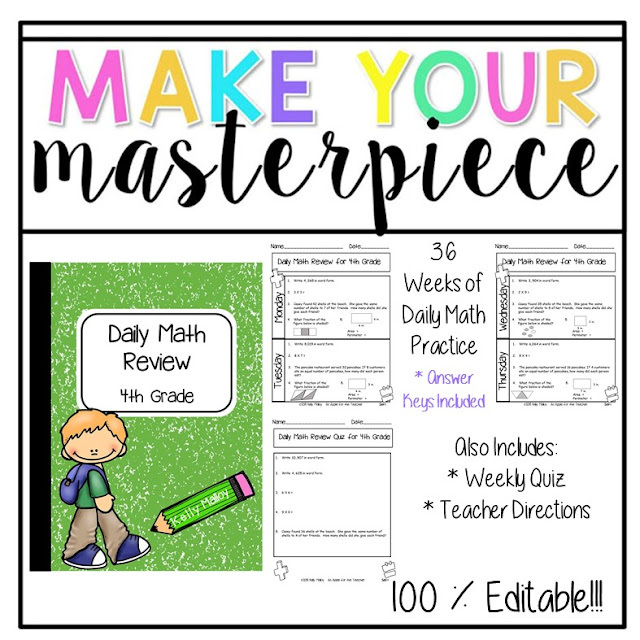 TpT Seller Challenge - Make Your Masterpiece - & $25 TpT Gift Card Giveaway! This is the third week of the Seller Challenge hosted by Third in Hollywood, Sparkling in Second, Peppy Zesty Teacherista, and Teach Create Motivate. This week is all about CREATING. This challenge came at the perfect time because I have been working on a project since about April, and I just couldn't seem to get it done! This gave me the extra push to finish it, which was especially good because I will need it in the fall when I roll up to 4th grade. I would have to say that this has routine has probably had the biggest impact on my math instruction by far. I love the fact that I am able to review math skills throughout the year, and that my students who struggle get repeated exposure to the material and can actually learn and retain it! I definitely wanted to continue that with my kiddos in 4th grade as well. You can download the preview which features two free weeks to see if the program will work for you. Now, time for my monthly $25 TpT Gift Card Giveaway! I may have a large slight pinning problem. There are just way too many irresistible ideas to love and pin on Pinterest! I get even more pinning ideas every month with the Pick 3 linky hosted by Pawsitively Teaching and the Inspired Owl! So, without further ado, here are my three pin picks for the month of July. 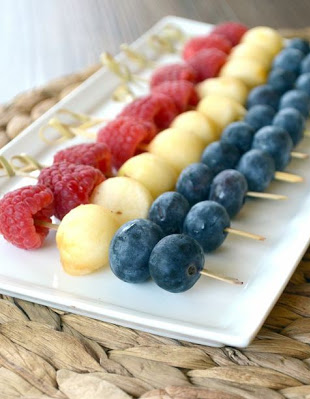 My first July pin is an absolutely yummy idea for your 4th of July festivities (or the rest of the summer as well). I have made a similar version with strawberries, marshmallows, and blueberries in the past, but my blood sugar has been a bit high, so I like this healthier version from Paleo Girl's Kitchen. My next pick is a mix of educational and fun along with some Patriotic flair. 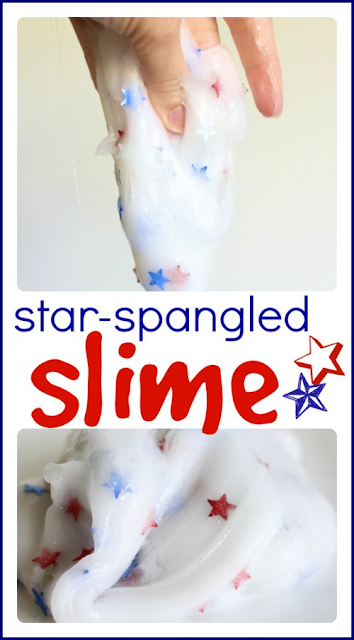 I am loving this Star Spangled Slime from I Can Teach My Child. My boys love playing with slime, and it is a great way to teach about polymers! My last pick of the month comes from abccreative learning. I don't know if I like this pin so much because it has been super hot lately or if I just love the idea of sneaking in learning with the fun - but I love it! You could use this with your own children, or for summer school, summer programs, or even for the beginning of the school year if you go back to school early enough. - Just be sure to do it at the end of the day and let parents know ahead of time. 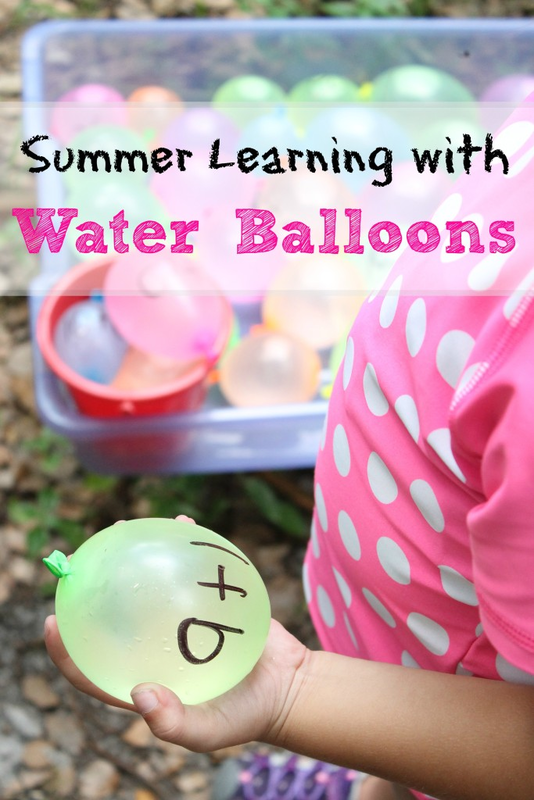 If you are looking for more summer ideas (as well as a ton of teaching related pins) - be sure to follow me on Pinterest! Follow along with these other bloggers for some more July "pinspiration" and link up to share your own as well!